New Orleans has been drawn so many times — using so many of the same stories, the same hooks, the same oddball characters and domestic-exotica veneer — that it's hard to have patience for new attempts. "Read A Confederacy of Dunces and Interview With the Vampire," a Louisianan told me once, "and you can fake your way through the rest of the canon." Post-Katrina, it's become even more difficult: the new civic hagiographies skew awfully close to purple, milking the already deeply tragic story for even more pathos. 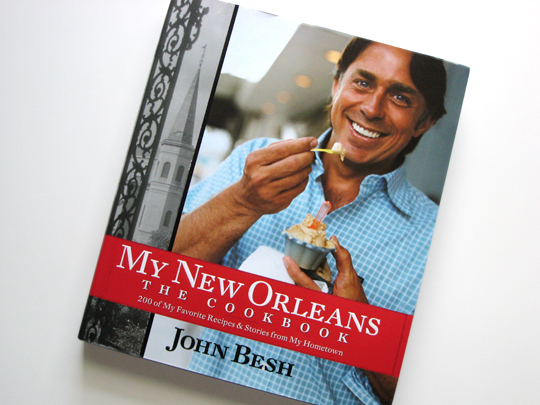 When I picked up chef John Besh's My New Orleans: The Cookbook (buy on Amazon ), I thought at first glance that he'd go there. But, to my relief (and excitement), he doesn't. "Being a chef here in New Orleans is more an act of stewardship than a job," Besh writes. This could easily resolve itself into an unflatteringly proprietary attitude towards the city and its inhabitants, but he paints this stewardship in a much more personal way: born and raised in southern Louisiana, Besh means "My New Orleans" not as "the city that belongs to me," but rather "the city, as I've experienced it," and sets out to tell the story of his life. 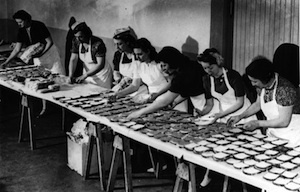 This hybrid of memoir and cooking is something a lot of cookbook writers aim for, only to be bogged down by the forced organization and brevity of recipe headnotes. So Besh takes a different approach. 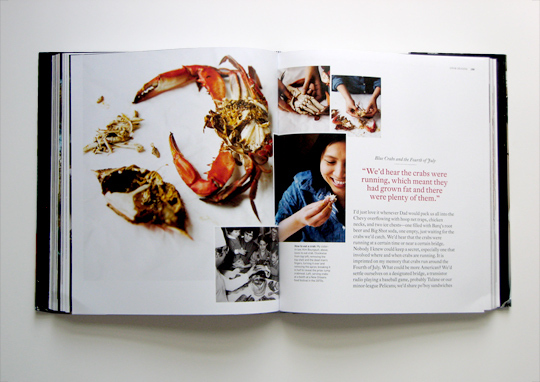 Each chapter is thematic, whether by menu (Mardi Gras, Crab Season), by activity (what ties together the titular ingredients of Chanterelles & Blackberries? Foraging! 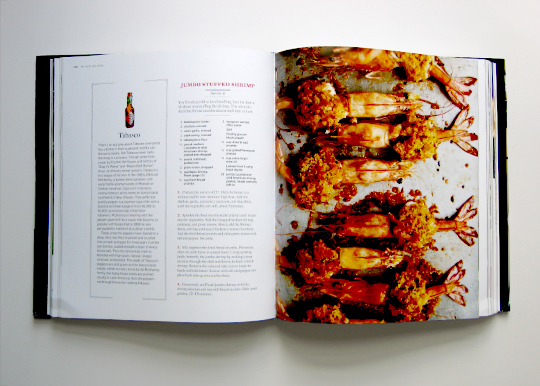 ), or by dish (entire chapters devoted to gumbo and oysters), and in each, before we get to the recipes themselves, Besh allows himself a few pages to reminisce. Skipping from chapter introduction to chapter introduction, his story unfolds with a surprisingly enjoyable nonlinearity. All the expected characters of a good tale are there, we meet the gruff heart-of-gold farmer, the not-so-innocent chain-smoking priest, the eccentric local aristocrat, saintly wives and sisters-in-law, towheaded sons eager to be schooled by their fathers in the arts of fishing and pig slaughter. Besh deploys stories, places, and characters with literary precision, and casually tosses off ton-of-bricks juxtapositions — like the competing almond-scented memories of his mother's trout amandine and the odor of a chemical attack during Besh's deployment in the first Gulf War — without giving in to the temptation of heavy-handed allegory. 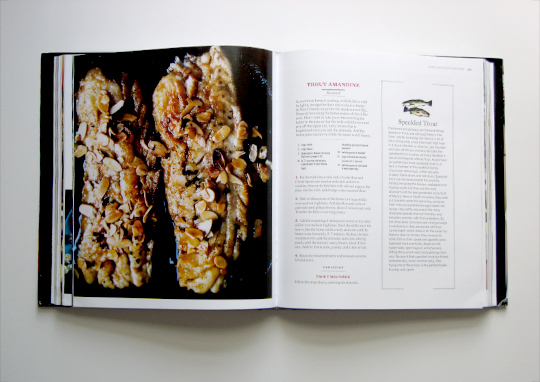 It's worth paging beyond each chapter's story, though, in order to get down to the recipes. 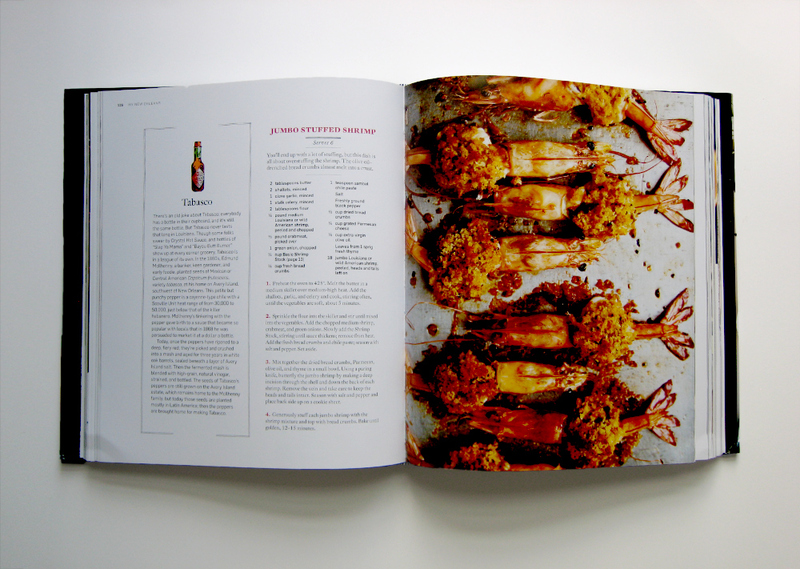 Besh makes it very clear up front that while he's a restaurant chef, with the luxury of a team of prep cooks and days for sauce-making at his disposal, he intends this collection of recipes to be used by home cooks. (Though at nearly 400 pages, a foot tall, and five whopping pounds, it's a little unwieldy to actually bring the book into, say, a small apartment kitchen.) To that end, the book opens with a section called "How I Cook" (implied subtitle: "And How You Should, Too"), that lays out philosophical foundations that really, at this point, ought to be in every cookbook: use the best possible ingredients, don't overcook, and "it is far more important that you understand the spirit of a dish ... than that you follow the letter of our recipes." That's followed by a whole chapter on basics: stocks, pan sauces, spice blends, doughs, all in plain terms to arm us for the more complex recipes to come. And, oh boy, these recipes are complex. Sure, there's the occasional three-ingredient sorbet, but for the most part Besh's take on New Orleans cuisine tends to the highly involved. Much of this is inherent to the cuisine — lots of spices, textures, and layers of flavor — but it stands starkly at odds with many of Besh's rhapsodies about the purity and richness of Louisianan ingredients. That might belie my Yankee bias, though — where I live, we're still so entranced by our rediscovery of local produce that it's sacrilege to enact on them anything but the most restrained, reverential preparations. Maybe once the novelty has worn off (and that's a good thing, taking beautiful ingredients for granted) we'll feel more comfortable setting heirloom tomatoes to stew, or adding just-foraged chanterelles to twenty other ingredients for chicken and dumplings. But for all their moving parts, Besh's recipes rarely call upon techniques beyond the grasp of the average cook — all you need is patience, really, and a willingness to commit to mise en place. Often a recipe's ingredient list will run longer than the instructions, an asymmetry that produces marvelous results: the intimidating Louisiana Shrimp and Andouille Over Grits has 19 ingredients but just 4 steps before plating, and comes out beautifully. And Besh goes way beyond the tired 'Nawlins culinary cliches: a hearty cauliflower and crawfish soup is pre-beginner easy, there's wood duck and rabbit for the hunters, and headcheese for the adventurous. These dishes pay homage to the city's polychromatic makeup, skewing Caribbean, German, French, Vietnamese — even Jewish, with Creole matzo ball soup that's preceded by, yes, a recipe for homemade matzos. 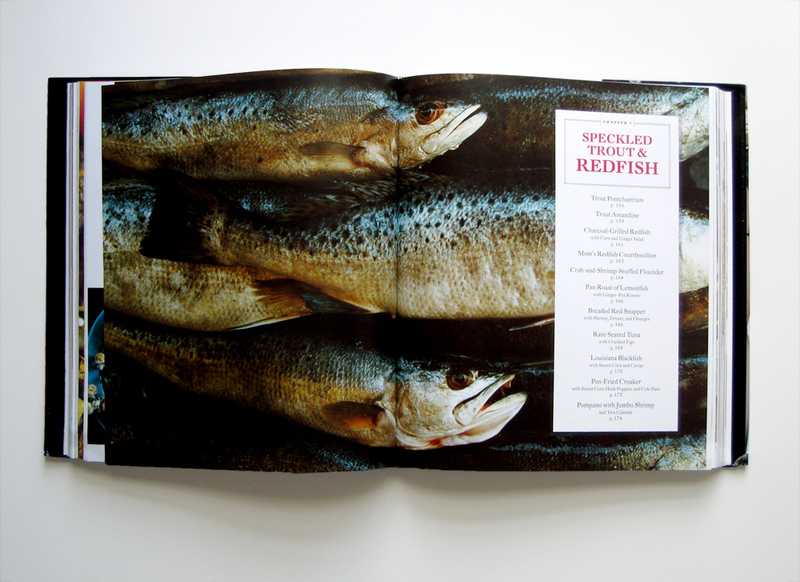 If it didn't have Besh's life story winding throughout, this would still be a great cookbook. With this narrative thread tying everything together, though, it's elevated to the extraordinary. Besh addresses Katrina without descending into propaganda, he talks Mardi Gras without the tourist angle, he delivers rural slice-of-life without falling into a faux-backwoods accent and introducing us to the creepy (but wacky!) inhabitants of the bayou. 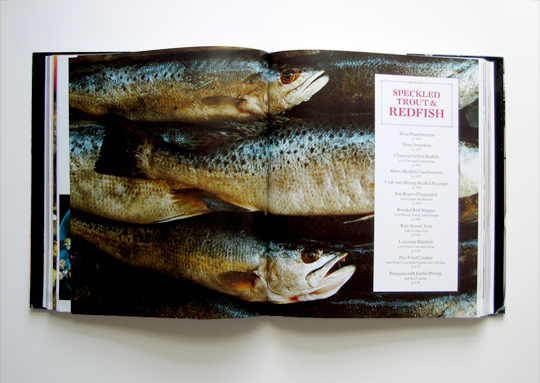 It's a true document of a region, as modeled by its farmers, fishermen, cooks, and eaters — this is a book worth buying, reading, and learning from.